HSU and DHS have established a work group to improve the way DHS/DSS does business with our members by sharing information and identifying process improvements to improve the procurement process and cash flow. In order to ensure that all of our members benefit from the work of HSU/DHS Contracts and Finance Work Group, we have compiled a “Finance Newsletter” where you will find information that will help your organization understand DHS’s contract management procedures and position you to better negotiate with the agency. If your contract is expiring, be sure to submit a new application to DSS as soon as possible. A new open RFP will be released soon – existing programs will likely find it easier to submit bids based on the current version so they should not delay submitting proposals. If you are experiencing repeated requests for 100% verification, please contact your program administrator and go up the chain of command.  If you are unable to get satisfactory results, please contact HSU for support. It is inappropriate for analysts to request 100% verification for every invoice your program sends. However, spot checks for individual lines or for unusual expenses are appropriate. Family shelter providers have moved from a quarterly invoicing process to monthly invoicing. Be sure to submit monthly invoices in a timely manner to ensure cash flow. The close out deadline is still September 1st. Many belatedly registered contracts still haven’t been closed. Even if your contract has amendments that are still pending, please be sure to close out the underlying contract now. DHS has confirmed via email that providers can go back later once the amendments are registered to revise the close out and drawn down funds from amendments. We can share this email upon request. All DHS adult and family shelter providers should have received a letter telling them when they will be called in to implement the model budgets. The first quartile of organizations whose budgets deviated the most from the model have already been called in for negotiations; the second group is going in now. If you do not know which group you are in, please contact Bill Dorante at DHS. Please note that the Street Homeless Service Portfolio including Drop-In Centers, Street Outreach Teams, Safe Haven and Stabilization Bed Programs are not included in this round of model budget implementation. HSU is advocating for model budgets to be created for these programs and implemented in FY2019.